Hey, Mr. Scientist man: Bob Dylan references in biomedical literature have increased "exponentially" since 1990, a new study finds. In the study, the researchers conducted a search of the biomedical papers published through May 2015 and found 213 references "unequivocally citing" the singer/songwriter. The earliest citation dated back to 1970, eight years after the release of Dylan's debut album, but the majority of citations appeared after 1990, the researchers wrote in their study. 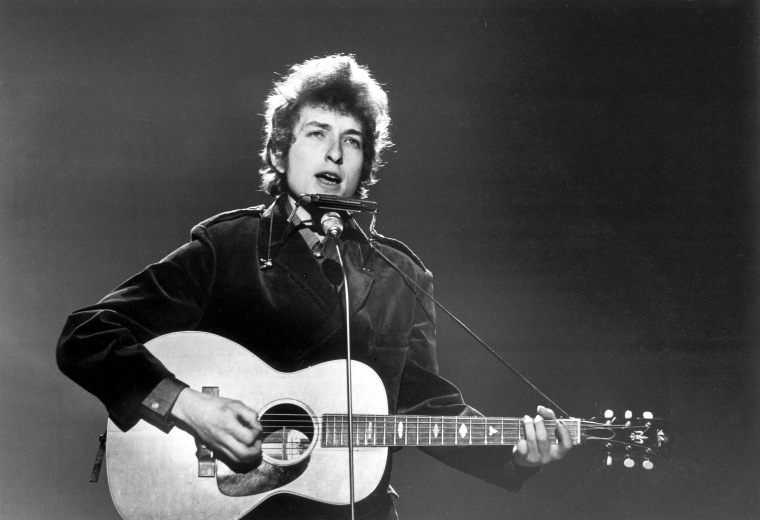 The most popular Dylan songs referenced were "The Times They Are a-Changin'," which had 135 citations, and "Blowin' in the Wind," which had 36 citations, according to the study, which was published in the annual Christmas issue of The BMJ (a lighthearted edition of the medical journal that normally publishes serious research). However, papers that referenced Dylan songs did not seem to garner an increased amount of attention from the research community, the researchers wrote in their study. The study was inspired by the discovery that a group of scientists at the Karolinska Institute in Sweden had been sneaking Dylan lyrics into their papers as a part of a long-running bet, the researchers wrote in their study. "I soon started to be curious about the biomedical literature in general — are there a lot of Dylan-citing scientists out there, outside of [those at the] Karolinska Institute?" said Carl Gornitzki, a librarian at the institute and the lead author of the new study. Gornitzki and his co-authors found that Dylan references were not unique to their institution. However, some countries appeared to appreciate Dylan more than others. The U.S. was at the top of the list, but scientists in Sweden also made a good number of Dylan references in their papers, Gornitzki told Live Science. "I guess they are like the rest of humanity: Some listen to Dylan; some don't." Gornitzki told Live Science that he had some personal favorites among the citations that were discovered, including "Don't think twice, it's all right — contralesional dependency for bimanual prehension movements." In the study, the researchers also pointed out Dylan's apparent respect for the medical profession, evidenced in the song "Don't Fall Apart on Me Tonight," where Dylan sings, "I wish I'd been a doctor…"
Indeed, the number of articles alluding to Dylan's work suggests that medical professionals show the same respect for Dylan, the researchers wrote. Still, the researchers were not able to determine why, specifically, medical researchers seem to be drawn to the singer/songwriter. "I guess they are like the rest of humanity: Some listen to Dylan; some don't," Gornitzki said. It's possible that Dylan's body of work is simply part of the world's collective wisdom, he said. For example, you don't need to appreciate or even know Dylan per se to use the phrase "blowin' in the wind," he said. As to why the citations began increasing after 1990, the researchers think the explanation may be that some of the young and radical students of the 1960s who listened to Dylan ended up as medical doctors, scientists and journal editors starting in the 1990s. Gornitzki said he hasn't come across other musicians who are frequently cited in the medical literature, but he has some suggestions for future research, including ABBA and The Beatles. Gornitzki noted that he is "a Bob Dylan fan, but not the most devoted one out there." "In my youth and childhood, [Bruce] Springsteen was at the top for me," he said. Follow Sara G. Miller on Twitter @SaraGMiller. Follow Live Science @livescience, Facebook& Google+.